Following the highly anticipated sit-down between President Donald Trump and Chinese President Xi Jinping at the G-20 summit, investors received a respite: the White House says both leaders agreed to temporarily halt escalating sanctions. As a result, the futures market surged on the positive implications. Still, folks should remain vigilant and not ignore defensive stocks. On the surface, the optics are quite favorable for equity bulls. Trump has never enjoyed a reputation as a steady, calm hand in the face of stress or provocation. That he was able to have a rational discourse with his Chinese counterpart speaks to his progression as President. But if you’re looking for the best stocks to buy for 2019, I wouldn’t go into full “risk-on” just yet. While the agreement facilitates a 90-day ceasefire regarding the ongoing trade war, investors should adopt a measured approach. For starters, the negotiations only temporarily freeze the $200 billion China tariffs at 10%; it doesn’t do away with them altogether. Second, this is a delicate time for Trump. Not only did Republicans lose control of the House following the midterm elections, the Special Counsel investigation regarding Russian collusion is heating up. The president needs decisive victories. I’m assuming giving anything away to the Chinese is not part of this agenda. Therefore, the safer bet is to rely on defensive stocks. These secular-industry driven, dividend-paying companies offer higher probabilities of success at this juncture. Should the negotiations ultimately fail, these investments are tied largely to indispensable consumer demand. Food-related companies have incurred a mix year in 2018. Technically, famous chocolatier and candy-maker Hershey (NYSE:HSY) belongs in this category. What separates HSY stock from its competitors is its momentum over the past several months. During the first half of the year, the company found it difficult to attract willing buyers. A rare earnings miss for its fourth-quarter 2017 report hurt share prices early on. But a string of solid performances brought HSY stock much-needed traction. Since the close of July 2, Hershey shares are up over 18%. While I don’t view HSY stock as a growth monster, its consideration at this juncture is more than warranted. Primarily, the company features a consistently profitable business. Over the years, Hershey has largely enjoyed double-digit operating and net margins. Plus, it offers a fairly-decent 2.6% dividend yield. For many investors, adding food companies to their best stocks to buy for 2019 list makes perfect sense. No matter what happens, people must eat. But as strong as that logic may appear, it really hasn’t helped Kraft Heinz (NASDAQ:KHC). Year-to-date, KHC stock is down about 35%. Moreover, management can’t blame the poor environment for equities, as the company underperformed throughout the four seasons. A crucial factor in the downside is a disappointing earnings picture. Over the last four reports, Kraft Heinz has produced two beats and two misses. But like Hershey, KHC stock is supported by a consistently profitable business. Over the past three years, Kraft Heinz has generated operating and net margins that average well into double-digit territory. Its also slowly growing its revenue picture after years of flat-lining. Finally, we’re probably looking at an unpredictable period during the early months of 2019. As such, the company’s 4.9% dividend yield is a major incentive. Due to the volatile news cycle, most investors are considering healthcare companies among the best stocks to buy for 2019. I can’t argue with that logic. Irrespective of economic factors or a potential trade deal, people need access to medical care. But in terms of far-reaching defensive stocks, I don’t think you can beat Johnson & Johnson (NYSE:JNJ). Earlier this year, I covered the company’s second-quarter fiscal 2018 earnings report, which produced a solid profitability beat. More impressively, this wasn’t a disjointed performance. While its pharmaceuticals division was the runaway leader, medical devices and consumer goods achieved decent results. Furthermore, we’re seeing the rewards play out in the markets. 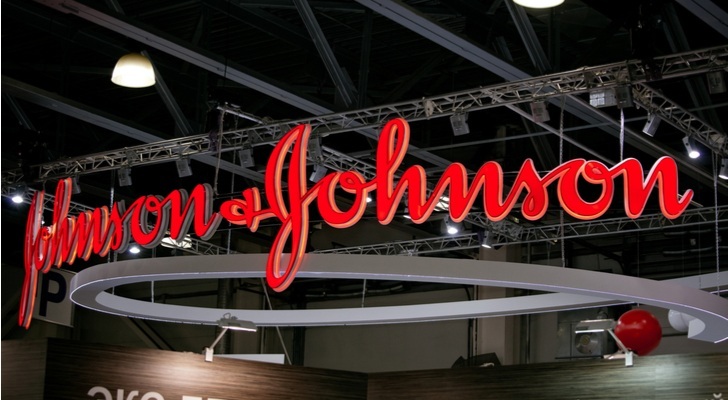 Since the second-half of the year, JNJ stock has gained over 22%. Due to the significant upside momentum, shares are now up 8% for the year. Finally, we can’t ignore its 2.4% dividend yield. With JNJ stock, investors can benefit from a resurgent company that offers protection in the form of passive income. Although healthcare-related companies offer many of the best stocks to buy for 2019, Bayer (OTCMKTS:BAYRY) doesn’t share that positive distinction. Over the past few months, BAYRY stock has sunk from its lofty position down to the market gutter. On a YTD basis, BAYRY stock has hemorrhaged an alarming 36%. Most of this stems from liability concerns related to Bayer’s Monsanto acquisition. In August of this year, a California judge ordered the pharmaceutical giant to pay $289 million in damages to a cancer-stricken groundskeeper. The lawsuit alleged that Monsanto used a potentially cancer-causing chemical, glyphosate, in its weed-killer product without warning labels. Understandably, BAYRY stock fell upon the news. However, shares have continued to bleed. In addition, management recently announced massive job cuts. Admittedly, the optics look terrible for Bayer. However, investors should note that glyphosate’s danger is inconclusive. Thus, fears that lawsuits will completely unravel BAYRY stock are not 100% accurate. If you want a contrarian play among pharmaceutical defensive stocks, Bayer is it. I concede it’s not a great segue to go from healthcare to tobacco. Indeed, you might say it’s downright inappropriate. But aside from moral considerations, tobacco firms like Philip Morris International (NYSE:PM) offer a viable path among defensive stocks. For one thing, tobacco companies typically offer huge dividend payouts, and PM stock is no different. 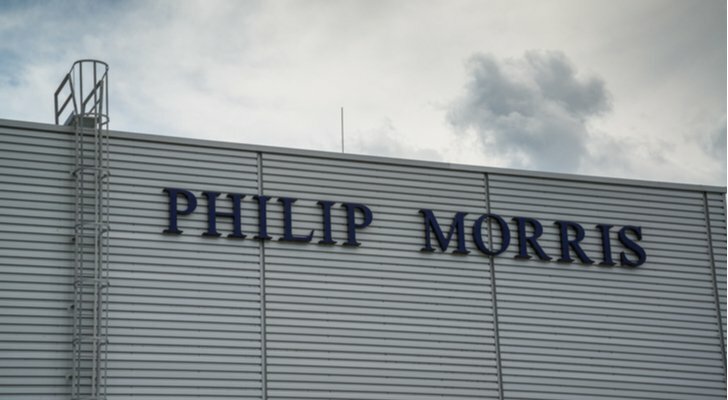 Currently, Philip Morris yields 5.2%. Should the markets start rocking over the next few months, PM will likely perform better than most. Another reason to consider these shares is the China tariffs. If things turn out well, great: PM stock will probably receive a sentiment lift, along with the major indices. But if negotiations turn sour, the underlying company could potentially move higher. This is because most vaporizer companies depend on cheap Chinese manufacturing. Of course, vaporizers represent stiff competition for Philip Morris’ own foray into e-cigarettes. In fact, you’ll probably want negotiations to fail if you’re deeply vested in PM stock. Historically, Altria Group (NYSE:MO) has proven as one of the most reliable defensive stocks. Unfortunately, history provides no guarantee of future performance. MO stock finds itself deep in the red, down more than 22% YTD. However, this volatility only tells half of the tale. Between June 1 and Nov. 1, MO stock gained over 17%. But that momentum slipped sharply last month. Now, all eyes are on its proposal to buy a minority stake in e-cigarette maker Juul. On the surface, the proposal makes financial sense for both firms. Juul is a clear leader in e-cigarettes. With Altria’s comparatively endless resources, the two firms can dominate this segment. Critics, though, have bashed both Juul and Altria for unethical marketing practices. Most notably, anti-tobacco advocates allege that Juul entices underage smoking. Obviously, this is a PR challenge. However, vice stocks have a way of overcoming negative press. In the long run, I like MO stock, especially at these deflated prices. As one of the premiere defensive stocks, Coca-Cola (NYSE:KO) has historically offered stability for risk-averse investors. But over the past few years, KO stock has been stuck in a frustrating, sideways consolidation pattern. Luckily, all things come to an end. For KO stock, the vaunted investment finally found the upside trajectory it was looking for. After a strong showing for its Q3 2018 earnings report, shares veritably skyrocketed. Coca-Cola ended the month of November up over 6%. It’s not always the best idea to buy into momentum, especially during an unpredictable market. However, I expect KO to be one of the best stocks to buy for 2019. Primarily, management has found genuine traction with its millennial outreach. Typically, young Americans eschew sugary drinks for healthier alternatives. 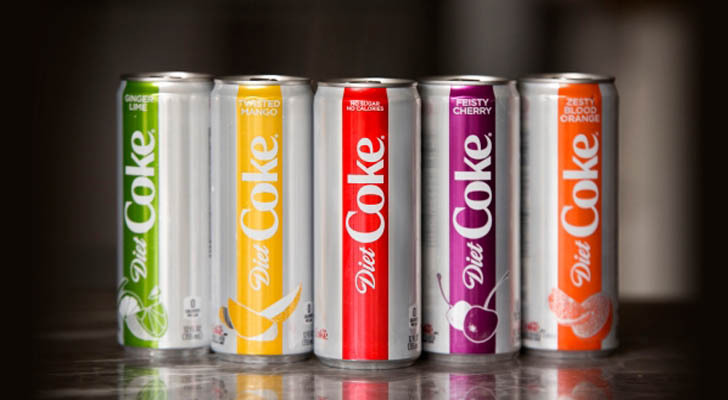 A revamped Diet Coke brand, though, taught an old dog new tricks. It’s not just Coca-Cola that has experienced a resurgence. Beverage-maker and chief rival PepsiCo (NASDAQ:PEP) has also witnessed a significant bump in share prices. But if you’re looking for defensive stocks within this sector that has yet to convincingly turn positive, consider Unilever (NYSE:UN, NYSE:UL). While UN stock enjoyed a modestly successful November, the company remains largely rangebound. On a YTD basis, Unilever has only gained a pedestrian 2%. Still, UN has a chance to be one of the more viable, albeit underappreciated, stocks to buy for 2019. For starters, the company maintains strong profitability metrics, which facilitate consistent earnings and free cash flow. Should macro events like the China trade war not turn out favorably, investors will not look to growth names. Instead, they’ll seek out reliable names like UN stock. Second, Unilever boasts several diverse brands, from Lipton to Magnum (the ice cream) to Dove. These products and their respective underlying industries are relatively unaffected by economic headwinds. Usually, technology firms don’t make the cut as defensive stocks. 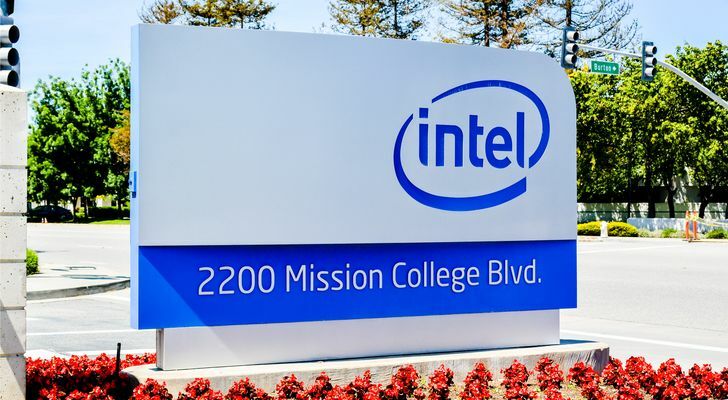 But in these rocky times, investors should sit down and strongly consider Intel (NASDAQ:INTC). Yes, the semiconductor industry has suffered substantial volatility lately, but INTC stock offers broader exposure. A paradigm shift that we’re currently witnessing is the 5G network. Levering unprecedented transmission speeds, the new technology opens the door for multiple uses, such as self-driving cars to automated surgery. Intel has invested heavily in 5G, and has long-term strategies to actualize the platform’s true potential. I also like that INTC stock has already baked in most of the bad news associated with the company. You still get the same fundamentals, along with a solid 2.5% dividend yield. The only difference is that you’re getting the positives at a significantly reduced rate. For the longest time, International Business Machines (NYSE:IBM) stood out as a leader among defensive stocks. It wasn’t pretty and it didn’t generate much excitement. 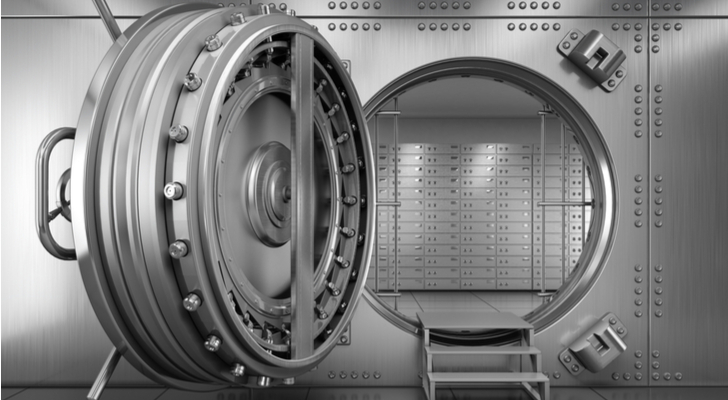 However, during several market corrections, IBM stock has generally protected investors. Now, it’s much harder to make that argument. During the October rout, IBM stock fell nearly 24%. On a YTD basis, shares are staring at a 16% loss. So much for its defensive cred! But if you’re a contrarian, you may want to take a deeper look at Big Blue. Because the markets are intent on abandoning IBM stock, few appreciate its own strategies towards lucrative opportunities like 5G. And while management’s shift towards next-generation sectors like cloud computing are slow-going, they’re nevertheless moving the needle. 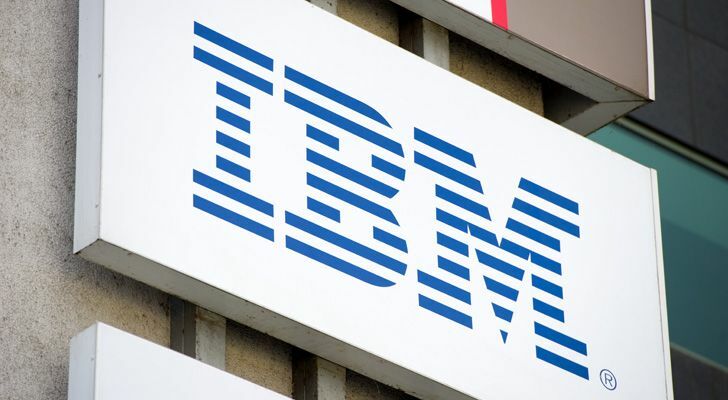 For instance, early last year, Japanese firm Fukoku Mutual Life Insurance replaced some of its white-collar workers with IBM’s artificial-intelligence platform, Watson. Some analysts have questioned Watson’s value towards the overall business, but this represents a genuine proof of concept. Article printed from InvestorPlace Media, https://investorplace.com/2018/12/10-defensive-stocks-to-protect-your-portfolio-in-2019/.